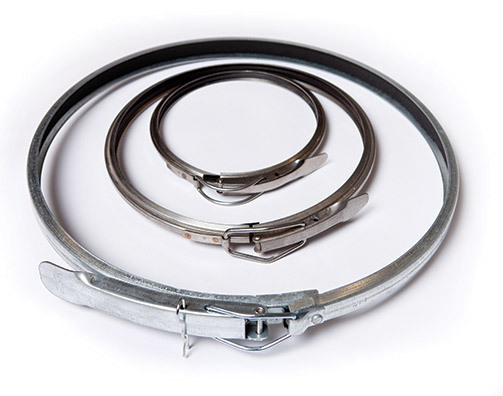 Galvanized steel duct clamps are made to work exclusively with our Snap It Duct Pipe. Order the same diameter as the pipe. Clamp snaps down for a tight fit and is held in place with the included bridge pin. These clamps require no welding.